​Every rose certainly has its thorns, which is an expression founded on the ever-present good that’s occasionally accompanied by the bad. The rose represents the incredibly high standard and expectation we have for good to always exist, and the thorns represent the unexpected and superfluous disruption of that peace. ​For those with chronic Lyme disease, as a drastic change to health that alters and uproots lives in a way that no person could have prepared for, the bad is no longer an occasional guest. It’s obvious that when an unwanted disruption to a life remains, with no clear sign of leaving, you now live a life of thorns. ​Just as we normally live a life to see a rose -- but to never forget the thorns that hurt us on a blind occasion -- if you live a life of thorns, how can you not see the flower perched at the top, at least on the rare occasion? ​In having chronic Lyme, we’re all still looking for the flower, but what many of us forget is that we know where it is. It’s not that hard to see, and still exists among the thorns we’ve learned to hold for now. ​Once a person’s life is infected with chronic Lyme disease, they unwillingly begin to slowly tighten their grip on the rose’s stem. The first thing to hurt is they themselves, as unusual and bizarre symptoms take hold, making it difficult to focus and perform the going ons of life. ​As a result, relationships with friends and family begin to feel the effects, as distancing is not in the least bit uncommon. From here, careers, schooling, recreations, and anything we had planned to be a part of, for a little while at least, slowly slips away. ​Yes, what we’re left with is a person, an individual, a human being who has been stripped of nearly everything except themselves, their health condition, and the burdensome acknowledgement of it. How can any person put in such a predicament -- a state of which both freedom and confinement exist -- ever loosen their grip of the rose’s stem enough to be reminded of the beautiful flower still perched at the top? ​When you grab a rose by its stem and hold on, it’s important to remember that not only do you feel the thorns, but that what comes with the pain is the beautiful and colorful flower perched at the top. 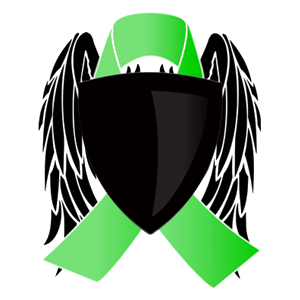 ​No sane person will ever not be able to see the hurt, torment, debilitation, and suffering that persists on a daily basis with the infiltration of chronic Lyme. We can take it a step further and say that these new life pieces run so deep, and become such an integrated component of a person’s life by altering the fabric of their life’s perspective, pleasure, love, compassion, and even will to exist silently move down the line. Chronic Lyme’s perpetual existence in a person’s life leaves a cloud of despair before their eyes, through which they now filter everything the world has to offer. ​But you’ve seen it, right? Of course you have! The Sun always reappears after the longest and darkest of storms, and on occasion, will even break through the clouds to reminds us it's still there. ​No one who has chronic Lyme is denying the dark clouds of a storm chronic Lyme is to person’s life, but you can’t deny that not a single good has ever attempted to find you throughout the ordeal; that you’ve never seen the sun shine through the rain. ​We don’t need to put ourselves in the life after chronic Lyme we all want. Don’t put that much pressure on yourself to see such a distance beyond the clouds, for now. Instead, you need to focus on what the storm’s rain is doing. ​It’s dark, wet, and possibly cold, too -- the most unappetizing of situations to be in -- but it needs to happen. Without the rain, we would have never known what a rose is, so its stands to reason to keep the rose coming back every year, it must rain enough. And even if it rains too much, another rose may appear in the end, when the storm has passed. ​Now, take a moment, to forget the hurt chronic Lyme has brought. If you can leave it behind for good, even better, but that much will not asked of you. Just set the hurt aside for now and instead think of the highest point of your day. What is it? Was it hearing a bird chirp? What is indulging in a delicious meal? Was it seeing a loved one’s genuine smile? Was it being able to get out of bed? Was it being able to just open your eyes? Or our personal favorite, was it the same chance you’ve had all along to be a human? ​These events may not seem like much, but to you, they are the sun shining through the rain. Even if you’ve yet to acknowledge them for what they truly are, they are the occasional good that still exists in your life. And though it may be in short supply for now, its purpose is really just to remind you to loosen your grip on the rose’s stem and focus more on the flower perched at the top. ​Once you’re able to see the good that still exists even while living with chronic Lyme, you’ll naturally want more. You’ll not only want to wait for the good to come to you, but you’ll want to manufacture your own. You acknowledge that the flower at the top of the stem you’re gripping will not last forever, and in order to not only see another rose, but preserve it and make it long lasting, is to completely let go of the dying rose and plant a new one. ​Every small good that comes your way through the storm of chronic Lyme is a seed you can plant. Sure, you might not be able to go back to school just yet, start a new friendship, or even get out of bed, but you can see the small and occasional good that comes your way and follow it. By acknowledging it, you’ll help it grow and allow it to become more of what comprises your life. ​Forget the good you’ve come to define before chronic Lyme disease took hold. It’s not the good you need now, or possibly even ever again. In dealing with chronic Lyme disease as you have, you’ve acquired a new need and purpose in life, and that’s to get better. Through it, you have, and will continue to, forge skills that’ll easily allow you to plant the seeds of good you need to get better. ​The storm will eventually pass, and when it does, a new rose will emanate from life. Every person with chronic Lyme disease will have a different rose. It’ll be of a different height, shade, and even pedal count, as you find yourself meeting new people and being a part of things you’d never dream of. ​The rose will start out small, but as the shine shines through, and the rain lessens, it will sprout into something uniquely good. And you won’t have to pick it -- leave it alone. Stand a far from and observe not only the beautiful good of the flower perched at the top, but the familiar thorns that stick out from the stem below. ​In the end of it all, when you are better, what you’ll have witnessed is an infection that completely dismantled your life. And with its introduction, you’ll have been forced to abandon the good you’ve come to define in life, and in its place, learn to adopt and define a new, unique, and rare good that always made an appearance, if just to simply remind you that it still existed. ​You will find a new path in life, and it’s okay to let go of the old one, as much as it hurts to. You will meet new and amazing people that will work for and support your chronic Lyme disease. The condition will force you to discover new passions, new pleasures that’ll help compose and build upon your founded unique good. From here on out, you’ll do things differently, but not because you want to, but because you’re of a different mindset now. ​And finally, from it all, you will have acquired new skills that’ll serve you well for coping with the occasional thorns that appear from this moment forward, as you realize that every rose not only has its thorns, but a beautiful flower as well.